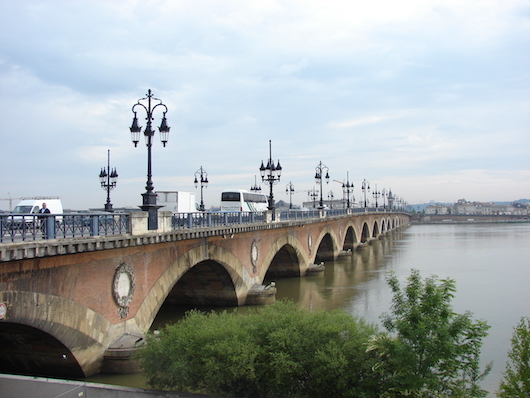 Running along the Garonne River is one of the signature runs in Bordeaux. The best running is on the west side (the UNESCO-designated ‘left bank’), bordering the historic center and downtown, for 4 km between Pont Saint-Jean and Pont Jacques Chaban Delmas (Pont=Bridge). There’s a dedicated waterfront path, with views of the river the whole way. There are good opportunities to head off the path and run/explore some of scenic/historic spots of Bordeaux, including a jaunt along Place des Quinconces, the Parliament area, and the Jardin Public (Botanical Garden). On the eastern (right bank) side of the Garonne, the best running is ~1.5 km from Pont St. Pierre (scenic crossing!) to the Parc aux Angéliques. Route info.